Anthony Fontenot with Jakob Rosenzweig, Delta Proposal, Part 6: Pontchartrain, 2010. Courtesy of Anthony Fontenot. 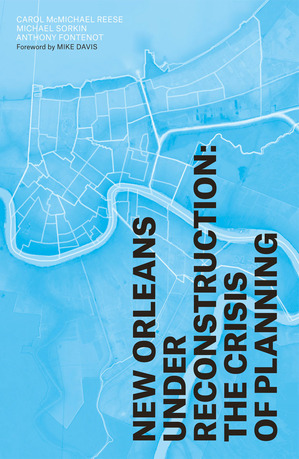 New Orleans under Reconstruction: The Crisis of Planning is the first book to illustrate and analyze architectural, landscape, and planning responses for post-Katrina New Orleans. It contributes to current urban planning and disaster recovery literature, and it foregrounds the "community-based" planning efforts that led to the production of The Plan for the Twenty-first Century: New Orleans, 2030. The book is comprised of thirty-one illustrated essays by and interviews with architects, planners, landscape architects, historians, and public intellectuals, who address the limits of what design and planning practices can achieve in extraordinary crises, as well as visions of renewal that professionals and citizens embrace following disasters. 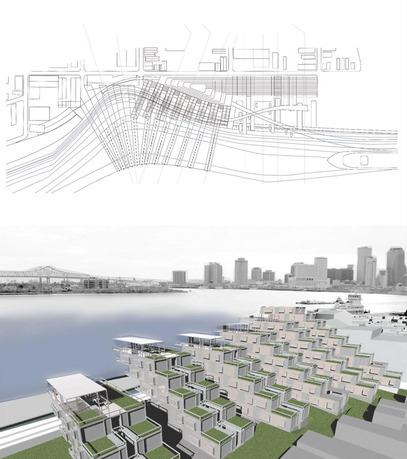 The book's project sections feature forty-three architectural, urban, and landscape designs selected from the editors' extensive archive of proposals for the city's rebuilding (www.project-neworleans.org). 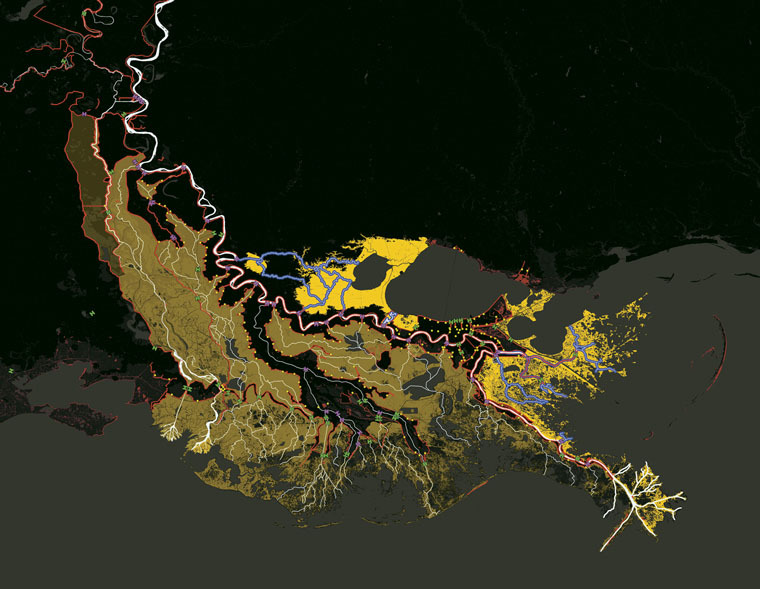 These representative examples illustrate innovative approaches to such concerns as ecological responsibility and cost efficiency, and have wide applicability beyond New Orleans. Carol McMichael Reese is the Mary Louise Christovich Associate Professor at Tulane University’s School of Architecture, where she has taught since 1999. Her books and articles focus on contemporary architecture and urban planning in the Americas. She has written on the relationship of visual imagery and the production of urban identities in early-twentieth-century Buenos Aires and Mexico City, and she was a consulting curator for the exhibition Buenos Aires 1910, Memories of the World to Come. Her most recent book (coauthored with Thomas F. Reese) is The Panama Canal and its Architectural Legacy (1905–1920), which focuses on the early urban development of the former Canal Zone. 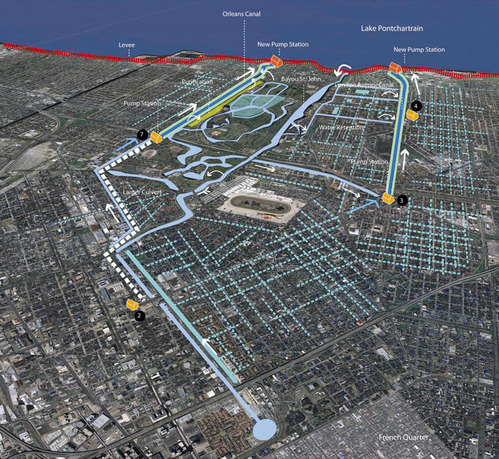 Since 2006, Reese has conducted Project New Orleans with co-organizers Anthony Fontenot and Michael Sorkin, producing an exhibition of plans for post-Katrina rebuilding, a website, and the national conference New Orleans under Reconstruction: The Crisis of Planning. 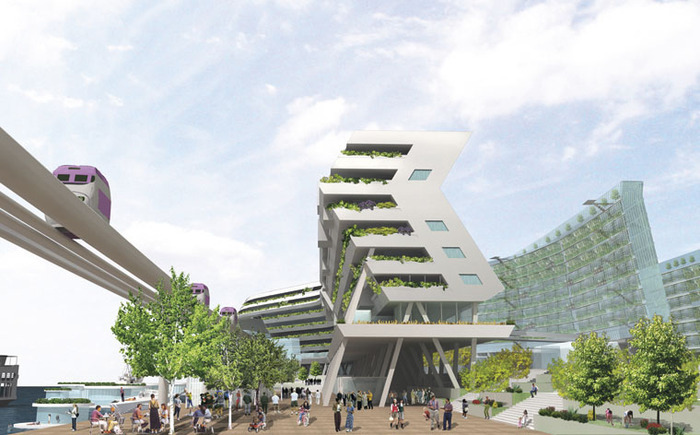 Michael Sorkin is principal of Michael Sorkin Studio, a global design practice emphasizing the city and green architecture, which has undertaken major projects in China, Malaysia, Turkey, Germany, Austria, India, and the United States. Sorkin is president and founder of Terreform, a non-profit institute dedicated to researching the forms and practices of just and sustainable urbanism. He is also president of the Institute for Urban Design, and distinguished professor of architecture and director of the Graduate Program in Urban Design at the City College of New York. He has taught at Yale University, Columbia University, the University of Pennsylvania, Harvard University, Vienna's Academy of Fine Arts, the Cooper Union, SCI-Arc, and Aarhus. He is the author or editor of more than fifteen books on architecture and urbanism. He is also architecture critic for the Nation and a fellow of the American Academy of Arts and Sciences; Sorkin received the National Design Award for Design Mind in 2013. 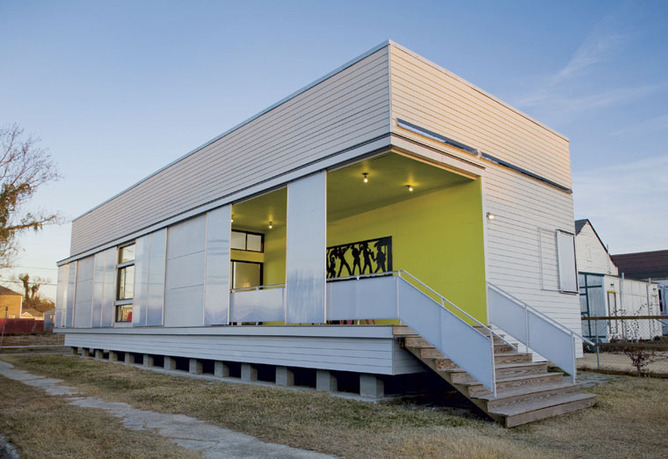 Anthony Fontenot is an associate professor at Woodbury University’s School of Architecture. He holds a BArch from the University of Louisiana, an MArch from the Southern California Institute of Architecture, and a PhD in architectural history and theory from Princeton University. In 2009 and 2010, he was a fellow of Princeton's Society of Woodrow Wilson Scholars, and in 2010 and 2011, he was a fellow of the Getty Research Institute. He has published on the history, devastation, and reconstruction of Berlin, Beirut, Kabul, and New Orleans. He was a cocurator of the exhibition Clip/Stamp/Fold: The Radical Architecture of Little Magazines 196X–197X and curator of the 2011 Gwangju Design Biennial in South Korea. Fontenot's interdisciplinary work has been exhibited at Documenta, the Netherlands Architecture Institute, the Storefront for Art and Architecture, A + D Museum, and the Venice Biennale.